Welcome to Sareeka.com, the new generation Online Indian Ethnic Wear Store. We brings you the world’s finest collection and wide range of Indian SAREES, SALWAAR KAMEEZ and LEHENGA CHOLI. We are one of the leading providers of online Indian traditional attire. Our key focus is on good quality products, on-time delivery, customer’s satisfaction. Our apparels are exclusively-designed to bestow upon you the real feels of Indian heritage. Our collections are not only an ideal mix of form, function and festivals, but they also reflect the richness of Indian wardrobe and tradition. 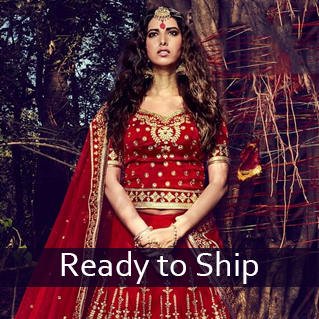 Shop from our widest range of ready to ship collection for Sarees, Salwar Kameez and Lehenga Cholis. Grab instant attention with our equisite designs and styles. Shop Now! 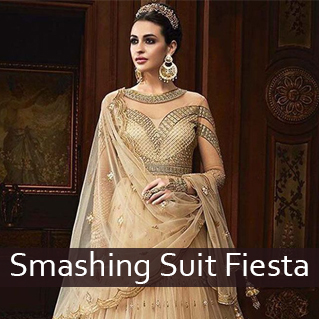 Look gorgeous with our wider choice of anarkali suits, designer salwar and wedding suits.